February 1st was the first Digital Learning Day designed to encourage innovative use of tech in schools. Did your library participate today? The initiative, sponsored by the Alliance for Excellent Education, was designed to encourage exploration of how digital learning can provide more students with the opportunities to get the skills they need to succeed in life and showcase innovative teaching practices that make learning more personalized and engaging. While the project is aimed at school libraries, there certainly MANY possibilities for public libraries to have participated. Somehow I missed the promotion for the event having been off the grid for a while or I would have tried to get more activity planned at my own library. I came across it through @ Your Library where one can find tool kits and other resources (as well as a few typos). The Digital Learning Day website toolkits are much more robust including information on Instructional Strategies, which I found particularly helpful since I don’t have a background in education. Curious to know if any libraries participated and what you did? It’s that time of year again when Children’s Librarians in public libraries all across the nation are busy making their plans for the summer reading program. You remember those, right? Read 10 books and get a cheap prize like a READ pencil made in China? Aw c’mon, everyone has those fond memories, nostalgic for the ‘good old days’ when the public library was all about BOOKS! I’d like to share some ideas about ways to incorporate Transliteracy into your library’s summer reading program. Or at least share with you how we are trying to do it at MPOW. *in case you’re interested, the cars of the future will have ice cream machines in them, if kids have anything to say about it. And so on. Some quests could be done many different ways like Find out when the town of Darien was founded. Some kids read it on the town marker sign, some went to Town Hall, some looked it up on Wikipedia, some IM’d a Librarian – all kinds of different ways to answer! When kids had completed Quests, we stamped their passports and entered them into raffle drawings. The kids wrote and drew in their passports all summer long and the more Quests they completed, the more chances they had to win in raffle drawings for prizes. Instead of spending a ton of money on cheap prizes, we spent our money on prizes they would be willing to compete for – iPod Shuffles, Flip video cameras and this year, an iPad! Everyone got a free book prize just for singing up and we had other ways to win prizes throughout the summer. The program as we run it now has been a HUGE success. The parents have raved about how their kids are eager to participate, the family can participate together or the kids can go alone. Each family is different. It also levels the playing field. A 3rd grader can zip through series books lickety-split while a 5th grader may take all summer to get through a dense chapter book. 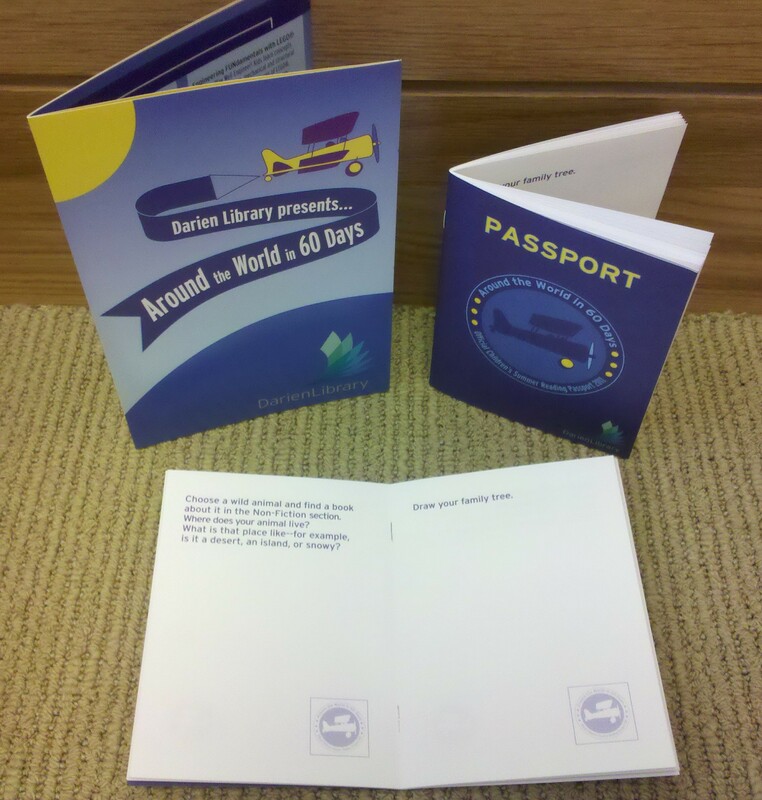 With the passport, kids can imagine and create at whatever level is right for them. 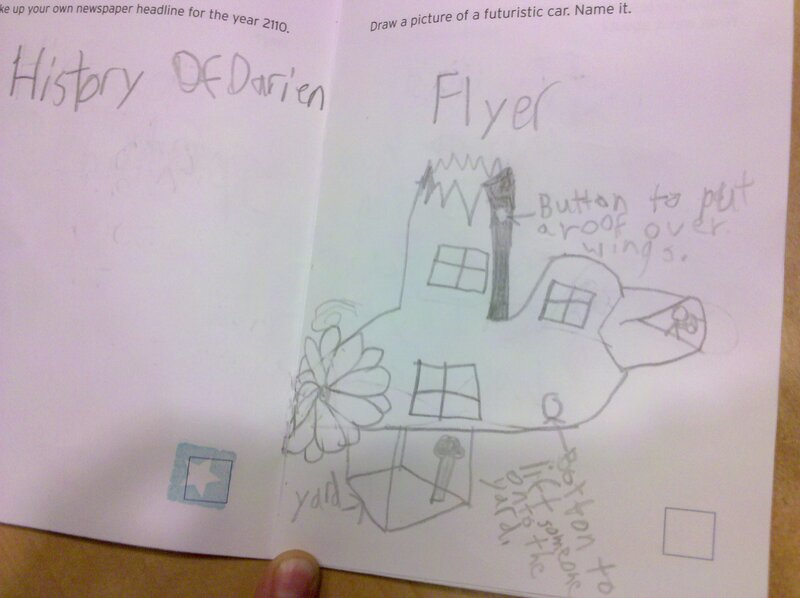 We also ask the kids to write reviews and tag items in our catalog (SOPAC). We’ve gotten our school librarians to help us spread the word and all the kids have been shown how to do this simple activity. We’ve shown them how they can use tags to create custom reading lists and ask them to write reviews in the catalog in order to receive an invitation to our finale event where they get to meet a popular author and get an autographed copy of his/her book. For kids who couldn’t come into the library to check in, they could enter their quests online through a simple form we created using WuFoo to be entered into raffle drawings. I think our web portion of the program has much room for improvement, but sometimes you just have to make do with what you’ve got! You know who has a GREAT summer reading website that also incorporates the ideas we talk about here? The NYC Summer Reading website. They have the traditional elements of summer reading available digitally, but also include elements of social media and gaming through the use of avatars, the ability to “Like” another child’s review and win badges. I see this activity as embracing a few literacies beyond simple traditional print literacy and have been impressed with it’s first year out and will watch to see how it evolves. Summer Reading Programs are a great way to experiment with Transliteracy. What does your program look like? Would kids want to participate or do they only do it because their moms make them? In a recent post on the Digital Media & Learning blog the topic of Community and Writing in an Age of New Collectives was explored. The most interesting point was the recognition that writing is a community practice. This is likely the result of literacy emerging from oral tradition (see Walter Ong for an in-depth treaty on orality and literacy). Besides the importance in understand that community encourages stronger writing, the post argues that to fully prepare students to write, we need to prepare students for community. Also, the audience is crucial. One way to do this is by leveraging the communities that students are already participating in, from those in their local neighborhoods, to online communities such as those around fanfics or social networks. The ability of computer networks to connect students with others in different physical locations provides a fertile ground for teaching students how to interact with new communities of writers. They argue that this is the responsibility of schools, but I would disagree. Schools only offer a temporary community for these students, whereas libraries offer a lifetime community. So many people are thinking, talking, reading, writing and working towards 21st Century Skills, from what I can see most of them are not librarians and libraries don’t figure into their projections or plans. While I am heartened to see so many groups thinking about our problems, I’m discouraged at the lack of a role for libraries, whether school, public or academic. Dr. Schank was the Founder of the renowned Institute for the Learning Sciences at Northwestern University, where he is John P. Evans Professor Emeritus in Computer Science, Education and Psychology. He was Professor of Computer Science and Psychology at Yale University and Director of the Yale Artificial Intelligence Project. He was a visiting professor at the University of Paris VII, an Assistant Professor of Computer Science and Linguistics at Stanford University and research fellow at the Institute for Semantics and Cognition in Switzerland. He also served as the Distinguished Career Professor in the School of Computer Science at Carnegie Mellon University. He is a fellow of the AAAI and was founder of the Cognitive Science Society and co-founder of the Journal of Cognitive Science. He holds a Ph.D. in Linguistics from University of Texas.